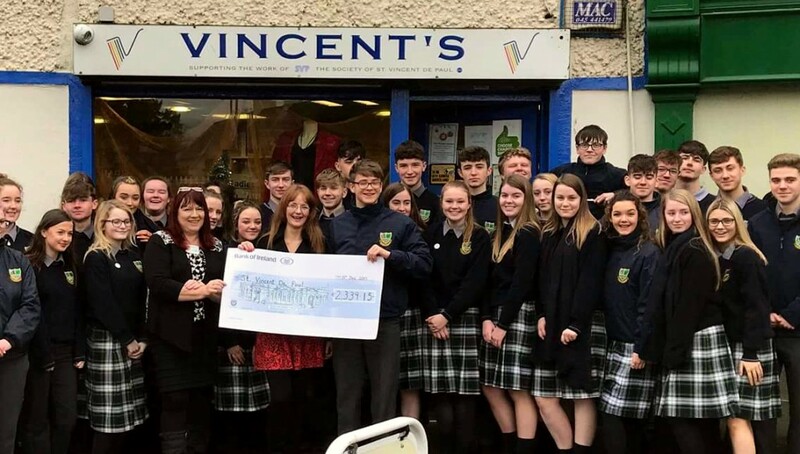 Well done to all 5th year students who raised an outstanding amount of €2,339.15 for the Society of St. Vincent de Paul. They organised various events such as a stay awake, jersey day etc. Thank you kindly to all family, friends, students, teachers and members of the Monasterevin community, for their sponsorship and generous donations. A special thanks to the Monasterevin Gospel Choir for their continuous contributions. All these events would not have taken place without the support, time and commitment of the 5th year’s Religious Education inspirational teacher Ms. Murray.